Kazuo Ishiguro … doesn’t really sound like a British name, does it? But Anglophiles, have no fear, because behind this Japanese name lies a man who knows the ins and outs of British culture. Kazuo Ishiguro was born in Nagasaki, Japan in 1954, but moved with his family to the United Kingdom when he was about six years old. He grew up in Surrey, and eventually studied English and Creative Writing at the University of Kent and the University of East Anglia. 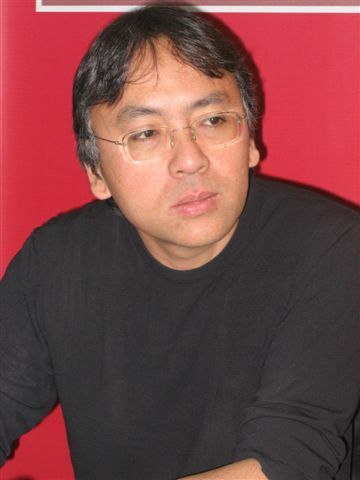 Ishiguro is a contemporary author, but his work is bound to be lined up with the classics. A master at portraying the subtle depths of character, Ishiguro also knows how to create a penetrating atmosphere. With two books in particular, he builds a deep and sensitive British world that my fellow Anglophiles will surely appreciate. Told from the perspective of a butler, The Remains of the Day can seem a bit slow at first, but a second look will show how deeply beautiful this story is. Mr. Stevens is a first-class butler for a wealthy man who lives in a massive estate in the English countryside. Having spent the prime of his life behind the walls of Darlington Hall, he is an expert at making sure the household runs smoothly. But is Mr. Stevens really the calm and collected man that he seems to be? Does he have emotions at all behind his practical devotion to his duty? I give you Miss Kenton, the housekeeper. At first, Mr. Stevens only tells us the bare minimum of his relationship with Miss Kenton, but eventually we learn to read between the lines and see what he really feels about her. The plot of The Remains of the Day follows Mr. Stevens as he travels by motorcar to visit Miss Kenton who now lives in a different county with the new name of Mrs. Benn. The butler has frequent rambling excursions into the past as he drives along, and by the end of his journey, we find ourselves at the end of a subtle and romantic drama. I won’t say more, but I will submit that the ending was beautiful and perfect, in my opinion. The setting of the book is England during the time before, during, and after World War II. Ishiguro does an excellent job displaying this in-between time of society. The world is changing, while the old ways and, in particular, the way of Stevens’ life is quickly becoming outdated. 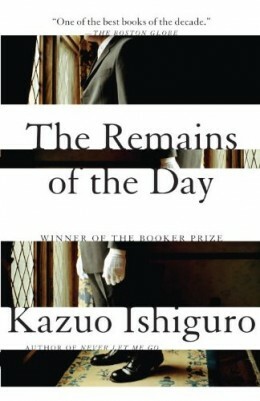 You can read more about the intricacies and beauty of The Remains of the Day in this book analysis. The Remains of the Day was made into a classic film by Merchant-Ivory in 1993, starring Anthony Hopkins and Emma Thompson as the butler and housekeeper who perhaps have another chance at the life they could have lived. 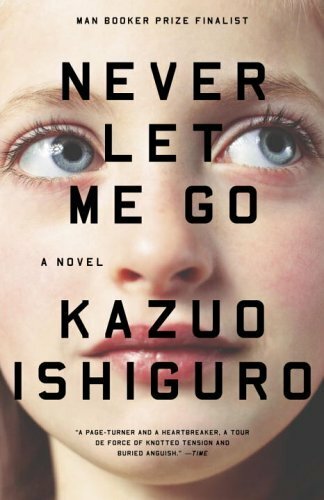 Innovative and heartbreaking, Never Let Me Go will touch your soul with subtle, silent fingers. This is the story of three children, told from the grown-up perspective of one of them. Kathy, Ruth, and Tommy live together at a boarding school in the English countryside. But before you start thinking, “Oh great, another British orphan story”… let me say this: Hailsham isn’t your run-of-the-mill porridge-for-breakfast boarding school with normal students. We can vaguely see from the beginning of the book that something is askew with the situation, but it isn’t until the end that we completely realize what Hailsham really means. Still, Kathy, Ruth, and Tommy have almost normal lives as far as school and friendship go. But as they grow older, they must all come to terms with the purpose of their existence. I don’t want to spoil the book, but I will say that these children do not have parents, and they do not have futures. 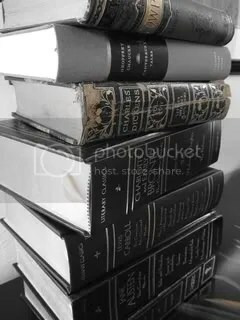 They do have very sheltered presents, however, and life for them is filled with games on the lawn and studies in the classroom, but not much more. In a very subtle, quiet way, Ishiguro is tackling a very large question. Without preaching or outright explanations, he brings to light the true importance of life and what the definition of that life is. The picture we are given of the horrors of lives taken lightly resonates in our hearts and won’t let go. Never Let Me Go was made into a movie in 2010 and stars Keira Knightley, Carey Mulligan, and Andrew Garfield.